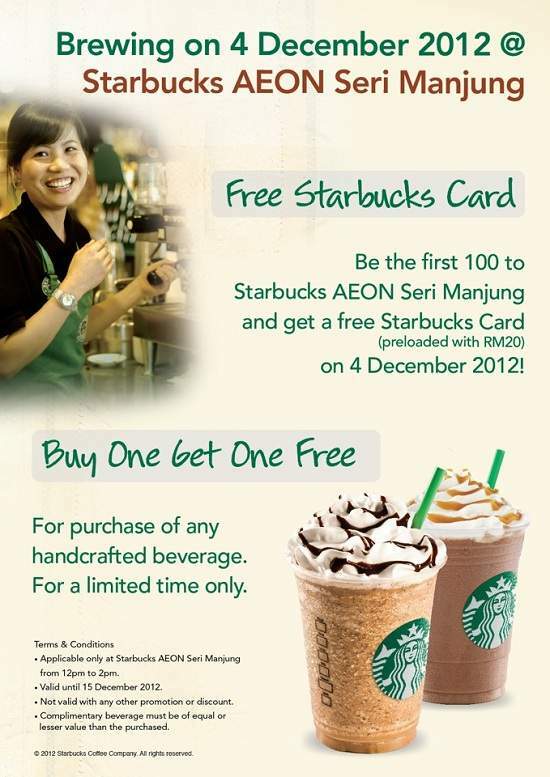 Be the first 100 to Starbucks AEON Seri Manjung and get a free Starbucks Card (preloaded with RM20) on 4 December 2012! You can also Buy One Get One FREE for purchase of any handcrafted beverage (for a limited time only)! LIKE and SHARE out this great offer ya!